This is the fifth year of the Bonei Zion Awards, which recognizes outstanding Anglo Olim who have made huge contributions in their fields. The 2018 Sylvan Adams Nefesh B’Nefesh Bonei Zion Prize has been awarded to five Olim for the impact they have had on their fields within Israel: Education, Science & Medicine; Community & Non-Profit; Culture, Art & Sports; and Israel Advocacy. Additionally, the Bonei Zion Award recognizes Olim for Young Leadership and Lifetime Achievement. The honorees this year include: Rabbi Dr. Shlomo Riskin, Founder, Chancellor and Rosh HaYeshiva of Ohr Torah Stone and Chief Rabbi of Efrat in the field of Education; Prof. Marcia Javitt, Director of Medical Imaging at Rambam Healthcare Campus in the field of Science & Medicine; Kalman Samuels, Shalva Founder & President in the field of Community & Non-Profit; Linda Streit, Founder of the Daniel Rowing Centre in the field of Culture, Art & Sports and Arsen Ostrovsky, International Human Rights Lawyer & Executive Director of the Israeli-Jewish Congress (IJC) in the field of Israel Advocacy. The Bonei Zion Lifetime Achievement was awarded to Morris Kahn in recognition of his exemplary entrepreneurial spirit and business acumen which has fueled the Start-up Nation and secured Israel as a world leader in technology. In addition, the Young Leadership Award was given to Major Keren Hajioff, Head of Public Diplomacy, Spokesperson’s Unit in the Israel Defense Forces. Sylvan Adams, a Nefesh B’Nefesh Oleh and Canadian real estate developer, is committed to developing the State of Israel, and is dedicated to showcasing the impact and achievement Israel has on the world. His sponsoring of the Bonei Zion Prize acts as an integral part in achieving this mission. Hundreds of Olim from English-speaking countries – including Australia, Canada, New Zealand, South Africa, UK, and USA - were nominated for the Bonei Zion Prize. 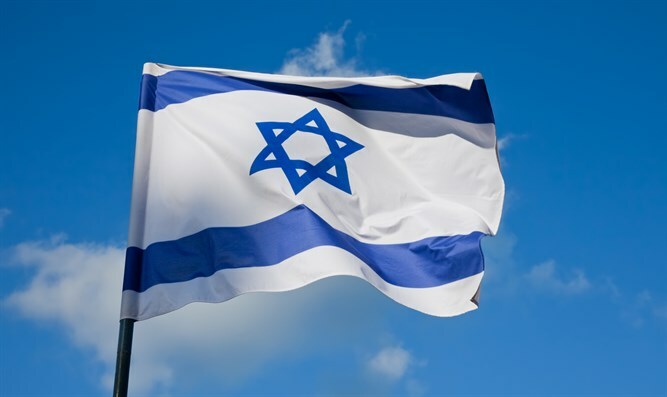 The Prize recognizes outstanding Anglo Olim who have helped Israel in a meaningful way by encapsulating the spirit of modern-day Zionism and contributing in significant ways towards the State of Israel. Recipients were chosen by a prestigious panel of committee members. Education - Rabbi Dr. Shlomo Riskin has dedicated his entire life to serving the Jewish people. His visionary contributions to Israel and world Jewry over the course of the past half-century have impacted upon the lives of thousands while redefining Modern Orthodox leadership, shaping the face of contemporary Jewish education, and in many cases, literally changing the direction of Jewish history. Rabbi Riskin made Aliyah to become the founding rabbi of Efrat, a city which did not yet even exist, but is now home to over 12,000 residents. Efrat was also where Rabbi Riskin established the first school in what would eventually become Ohr Torah Stone (OTS), a comprehensive network of 27 unique educational institutions, women’s empowerment programs, leadership development, outreach initiatives, and social action projects. It is because of Rabbi Riskin’s belief in the relevance and beauty of Judaism’s past – and its crucial importance for the future of humanity – that hundreds of OTS outreach rabbis and educators, men and women, are committed to serving Jewish communities, campuses and congregations all over the world. Thousands of secular Israelis are willingly participating in Jewish programming, exploring and reclaiming their Jewish heritage; young adults with special needs can now spend a year in Israel delving into their history and roots; hundreds of individuals have been warmly and lovingly embraced in their sincere quest to join the Jewish faith; and each year, over 3,000 additional OTS students are being charged with a pride in their faith, a dedication to the Jewish people and a responsibility to the world at large. Furthermore, because of Rabbi Riskin, doors that had been closed to Jewish women have been pried open, empowering Jewish women to partake in the highest levels of Jewish learning, spiritual leadership, halakhic discourse, meaningful service in the Israeli Defense Forces and rabbinical court advocacy on behalf of agunot. Rabbi Riskin made Aliyah from New York in 1983. Science & Medicine – Prof. Marcia Javitt, MD, FACR, FSAR, FSRU joined the faculties of both Rambam and the Technion in 2014. She was recruited to Israel as chairman of Radiology at Rambam to transform diagnostic imaging in service to Northern Israel’s 2 million citizens who rely on Rambam as their referral medical center. In the USA, Prof. Javitt was one of the founders of the field of Women’s Imaging, having pioneered imaging techniques aimed at early diagnosis of breast, ovarian, and uterine cancer. At Rambam, she saw an opportunity to integrate clinical excellence, translational research, and quality education while managing a complex full-service tertiary care academic department. She successfully prepared Rambam’s Radiology department, the largest department in the hospital, for the first ever Joint Commission International inspection in 2017. Rambam Health Care Campus was awarded accreditation for excellence in healthcare quality and safety with an impressive score of 97.5%. In only three years, she initiated collaborative innovative research in prostate cancer focal therapy, began development of a new breast cancer screening modality without ionizing radiation, and more. She initiated formation of a new Point of Care Ultrasound Learning Center at Rambam that teaches physicians of all specialties and first responders how to save lives at the patient’s bedside in emergencies and acute care settings using Ultrasound as the ‘modern stethoscope’. Prof. Javitt has played a key role in departmental process improvement that already has accelerated the time of diagnosis and improved the availability of advanced diagnostic techniques for the region’s diverse population. Prof. Javitt made Aliyah from Maryland in 2013. Community & Non-Profit - Kalman Samuels was raised in Vancouver, Canada. In 1970, during college, he visited Israel for two weeks. Enamored with Jewish culture and heritage, he stayed and pursued rabbinical studies. He married Malki Klein and the couple took up residence in Jerusalem. In 1977, their second son, Yossi, was injured at the age of 11 months, by a faulty vaccination and was rendered blind, deaf and acutely hyperactive. After 7 years with no communication, Yossi experienced a breakthrough, learning to communicate via sign language in the palm of his hand and later speech. Remembering their desperate prayer from years before that if G-d would help Yossi, they would dedicate themselves to helping others, Kalman and Malki established Shalva, the Israel Association for the Care and Inclusion of Persons with Disabilities. What began as a small program in a rented apartment has developed into round-the-clock programs for 2,000 individuals at the Shalva National Center. Built on seven acres of land granted by the municipality in the heart of Jerusalem, the center is a beacon of inclusion and an international leader in innovative program research and development. Kalman has dedicated the last 28 years to making a better Israel. The disability services, family empowerment and inclusion-advocacy that he has spearheaded have created an everlasting impact on Israel’s social services structure and beyond. Kalman Samuels made Aliyah from Vancouver in 1983. Culture, Art & Sports - Linda Streit founded the “Daniel Amichai Centre for Rowing and Nautical Studies” in 2004, in memory of her son, Daniel Amichai Marcus, z”l, a promising young athlete. The family wanted to commemorate Daniel by creating a world- class centre dedicated to rowing, the sport Daniel loved so much. The Centre is the home of the national Olympic & Paralympic teams, and has helped to enhance the global reputation of Israel, as the flag flies on the podium in world championships and at the Rio Paralympics, where Israel won a bronze medal for rowing. The Centre is a leader in nautical studies, providing classes for schoolchildren and after-school activities such as rowing, sailing, coastal rowing and kayaking classes, which are open to all. There are numerous pioneering programs serving underprivileged communities, youth at risk, people with disabilities and those with special needs, which benefit so many adults and children. The Daniel Rowing Centre embodies issues which Linda believes in: Excellence, Teamwork and Inclusion, using sport as a tool to bring about a change for the better for community. Linda Streit made Aliyah from London in 1978. Israel Advocacy - Arsen Ostrovsky is an International Human Rights Lawyer and Executive Director of The Israeli-Jewish Congress, an Israel-based NGO serving as a bridge between Jewish communities in Europe and Israeli leaders and officials, while supporting the Jewish State around the world in the fight against Antisemitism, BDS and delegitimization. Arsen has testified and spoken in support of Israel before the UN Human Rights Council in Geneva, United Nations in New York, the European Parliament, the Knesset and many high-level forums in Europe and the United States. He is considered an expert on Antisemitism and BDS, as well as International Law and Middle East foreign policy, and has been published by major publications around the world and is a frequent commentator on TV and Radio. He has also lectured widely on Israel and the Middle East. In March 2016, JTA named Arsen one of their ’25 Most Influential People on Jewish Twitter’, in recognition of his expertise and leadership in the field of Digital Diplomacy and Israel advocacy on-line. Underpinning all of Arsen’s actions is a deep sense of Zionism and commitment to advocating for Israel and the Jewish people. Arsen Ostrovsky, originally from Australia, made Aliyah from New York in 2012. Lifetime Acheivement - Morris Kahn was born in South Africa, and at the age of 26, he moved to Israel with his late wife Jacqueline and his two sons, David and Benjamin. Foresight and business acumen were key to achieving his first large-scale success in the business world with the establishment of Israel’s Golden (Yellow) Pages in 1968. Six years later, Morris opened the first World underwater observatory in Eilat. In 1978, Morris co-founded the Aurum Group, and proceeded to establish companies in diverse fields, Golden Lines and Golden Channels, and was instrumental in the entry of global corporations AT&T and AIG into the Israeli market. In 1980 Morris co-founded Amdocs, which served as the foundation upon which Israel later built itself as ‘The Startup Nation’. His large-scale, diversified business activities contributed to the development of the Israeli economy and created thousands of jobs. In recent years Mr. Kahn has increasingly focused his attention on philanthropy and venture philanthropy, he supports, among others, cutting-edge cancer stem cell research, including the establishment of a laboratory for fertility preservation among cancer patients in Tel Hashomer and a bio-medical research laboratory focusing on genetics and genetic mapping. The most recent collaboration was establishing the Morris Kahn & Maccabi Health Data Institute to enhance human health by providing technological platform that will support medical breakthroughs in the fields of predictive analysis and precision medicine. Morris serves as the president of Space IL an NGO aiming to make history and landing the first Israeli spacecraft on the Moon. Mr. Kahn supports several initiatives that are dear to his heart. Making cataract and Trachoma surgery available to Ethiopian villagers; operating a therapeutic horseback riding center for the disabled. He is a major donor at Save a Child's Heart, an NPO for life-saving cardiac surgery for children from developing countries. Today, at the age of 88, with his grandchildren and great grandchildren by his side, Morris continues his far-reaching philanthropic activity modestly, and with the same sparkle in his eye as the young Zionist entrepreneur. His exemplary leadership has inspired generations of entrepreneurs and young dreamers. His desire to do good for humanity, and to ensure the prosperity of the world, continue to be his guiding principles. Morris Kahn made Aliyah from South Africa in 1956. Young Leadership - Major Keren Hajioff was born and raised in the UK and made Aliyah to Israel soon after high school. A month after moving to Israel, Keren joined the Israel Defense Forces, serving as an Instructor in the Artillery Corps. Keren was selected for the IDF Officers' Training School, finishing as the Exemplary Cadet of her company. Having earned the rank of Lieutenant, Keren was assigned as an Instructing Officer in the officers Training School, training the future generation of IDF officers. From there, she took up the position of Head of Information and Policy in the Ground Forces Foreign Relations Branch. Keren then became the Foreign Relations and International Student Officer at the Israel National Defense College, where she was promoted to the rank of Captain a year early, in a procedure of Excellence in Conduct. Keren is currently serving as the Head of Public Diplomacy in the IDF Spokesperson's Unit, as well as completing a degree in Political Science and was recently promoted to the rank of Major. Maj. Keren Hajioff made Aliyah from London in 2009. ● Prof. Chaim Waxman - Professor and Chair of the Behavioral Sciences at Hadassah Academic College, in Jerusalem, and Professor Emeritus of Sociology and Jewish Studies at Rutgers University.